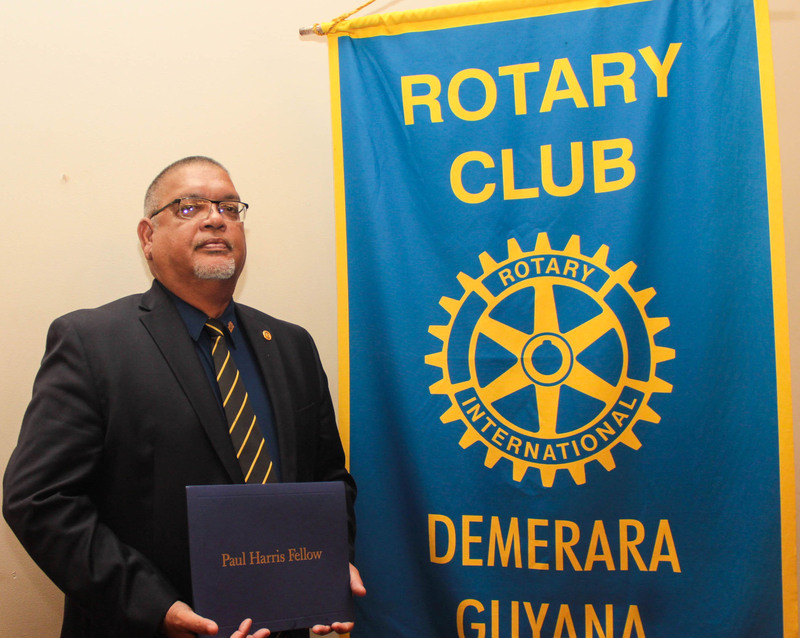 Businessman Ramesh Dookhoo was on Tuesday presented with the highest recognition of the Rotary Foundation of Rotary International, the Paul Harris Fellow Award for his contributions to the service organisation. Presenting the award to Dookhoo at the Pegasus Hotel, the Rotary Club of Demerara stated that he stood as a beacon of outstanding service to the Guyanese business community and to the humanitarian causes supported by the Rotary Club, a press release said. 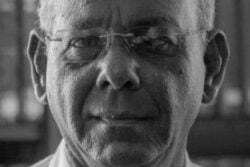 Dookhoo’s longstanding service to the business community includes his tenure as vice president and president of the Guyana Manufacturers and Services Association; as governor and founder member of the Institute of Internal Auditors Guyana Chapter and as chairman of the Private Sector Commission (PSC). He has also served in excess 30 years as an executive of Banks DIH Limited. According to the Rotary Club of Demerara, the award is presented by Rotary Clubs throughout the world in special appreciation and recognition for the ways in which the awardees exemplify the humanitarian and educational objectives of Rotary International. 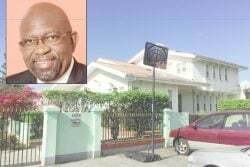 The organization noted that Dookhoo is a sitting president of the Caribbean Association of Industry and Commerce; a sitting trustee on the CCJ Trust Fund Board and chairs a steering committee for the formation of the Caribbean Business Council. He currently serves the PSC as its honorary secretary and head of Trade and Investment. He has also served on the boards of GWI, CJIAC and the CCAC as chairman. Dookhoo is an MBA graduate of the University of the West Indies and was certified in Standardization Management from the Swedish Institute of Standards. As a Certified Risk Management and Assurance Professional, he is one of the few Guyanese qualified to pronounce or offer advice on strategic matters related to specialized audits. According to the Rotary Club of Demerara, Dookhoo’s outstanding qualifications have aided him well in providing exceptional service to the business community as well as the causes and charities that are close to his heart. 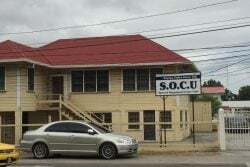 The release said the Paul Harris Fellow Award is reserved for individuals who contribute, or who have contributions made in their name to the Rotary Foundation of US$1000. Other previous recipients include Yesu Persaud, Reis and Cecilia Validum.